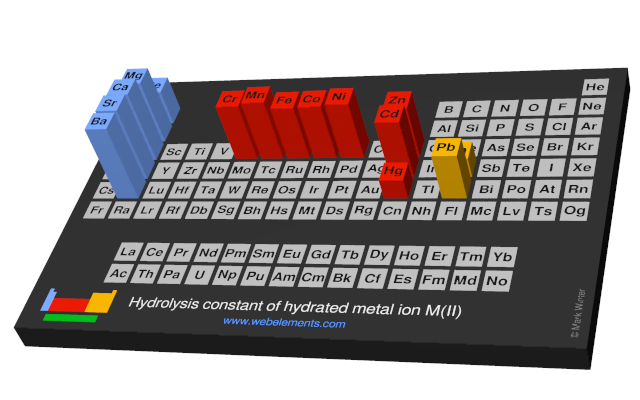 Image showing periodicity of the chemical elements for hydrolysis constant of hydrated metal ion M(II) in a periodic table cityscape style. 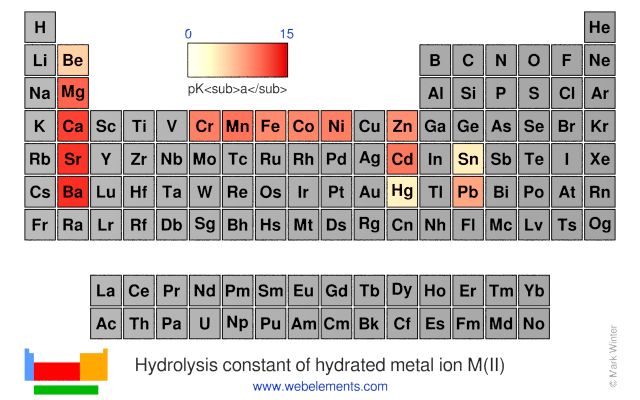 Image showing periodicity of the chemical elements for hydrolysis constant of hydrated metal ion M(II) in a periodic table heatscape style. 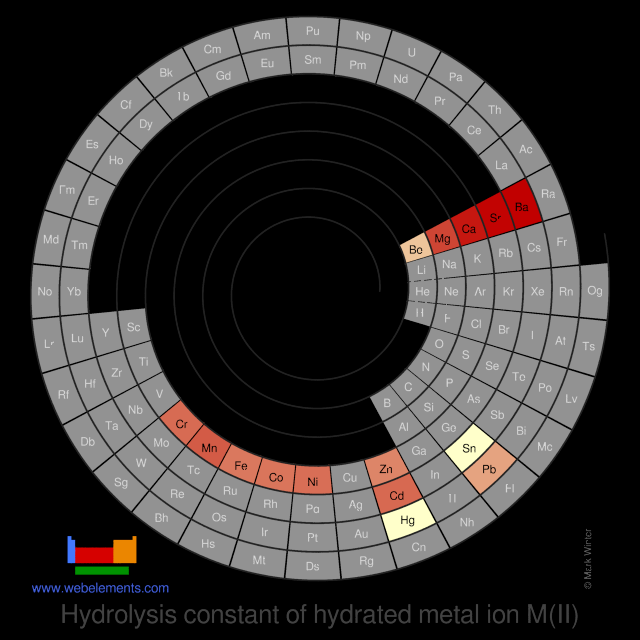 Image showing periodicity of the chemical elements for hydrolysis constant of hydrated metal ion M(II) in a spiral periodic table heatscape style. 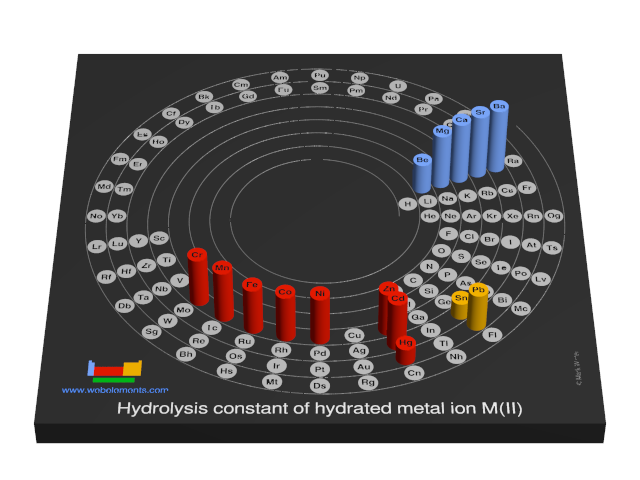 Image showing periodicity of the chemical elements for hydrolysis constant of hydrated metal ion M(II) in a 3D spiral periodic table column style. 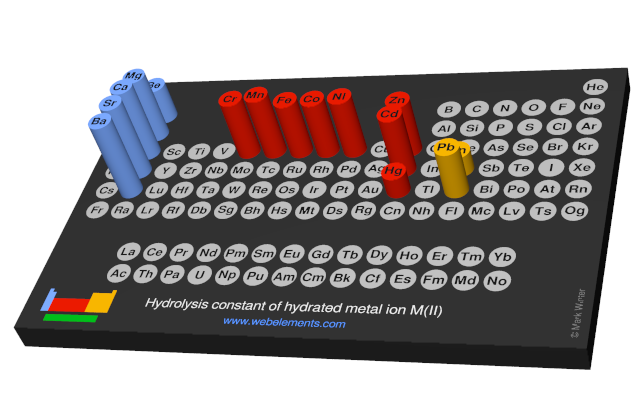 Image showing periodicity of the chemical elements for hydrolysis constant of hydrated metal ion M(II) in a 3D periodic table column style. Select from these links for other data for aqueous metal complexes. G. Wulfsberg in Principles of descriptive inorganic chemistry, Brooks Cole Publishing Company, Monterey, California, USA, 1987.